International specification posts designed for use in sportshalls and outdoor courts. International Socketed Posts were used at the Delhi Commonwealth Games. As used at the Delhi Commonwealth Games and for England home based matches. Uprights made from 80mm diameter reinforced aluminium. Regulation solid 16mm diameter steel rings. Plated steel floor sockets and blanking caps (Please note sockets require professional installation). Socket wedges included for stability. 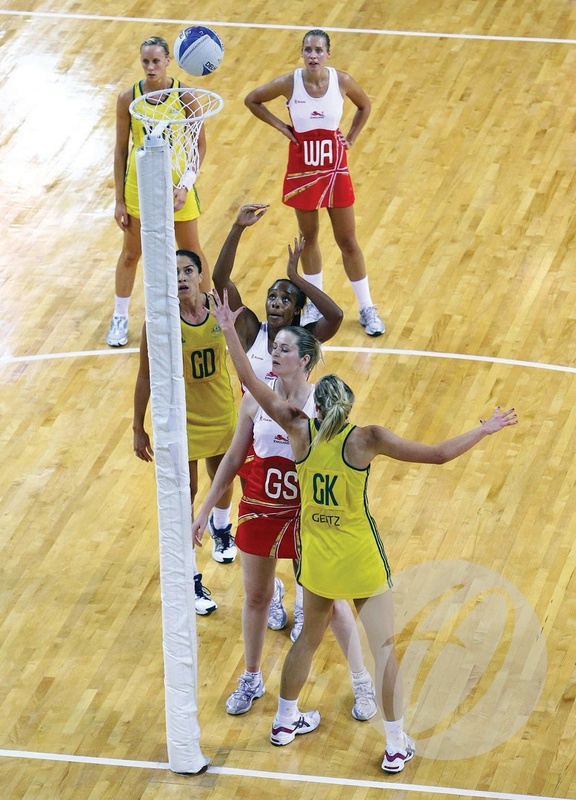 Q: What is the minimum amount of Concrete needed to install the Socketed International Netball Posts? A: 400mm in a sports hall or 400x400x400 for outdoor use.